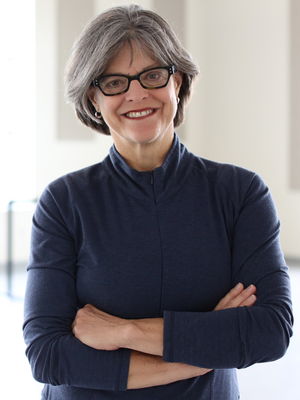 Professor Susan Hadley was a principal dancer with the Mark Morris Dance Group, with whom she performed numerous original roles in works such as L’Allegro, Dido and Aeneus, and Mythologies. She was a member of Senta Driver's company HARRY and she performed with Meredith Monk. As rehearsal director for Mark Morris she worked with Baryshnikov's White Oak Dance Project, with Zivili's premier of The Office, and with the Royal Opera's production of Platee. Her own work has been performed by Hubbard Street Dance Chicago, Repertory Dance Theatre, American Repertory Ballet, BalletMet Columbus, Ballet Memphis, Ballet Pacifica, The University Dance Company, CATCO, and Drums Downtown. Hadley's work has been supported by the National Endowment for the Arts, New York Foundation for the Arts, New York State Council on the Arts, The Choo San Goh Foundation, Ohio Arts Council, Greater Columbus Arts Council, OSU College of the Arts, and Wexner Center for the Arts. Hadley teaches contemporary dance technique, composition, music and choreography, repertory and pedagogy. She is the recipient of the 2002 Colleges of Arts and Sciences Outstanding Teaching Award, the 2006 OSU Alumni Award for Distinguished Teaching, and the 2014 Ratner Award for Distinguished Teaching.